This week, I've got a special surprise for you: a FREE fitness calendar and goals printable! 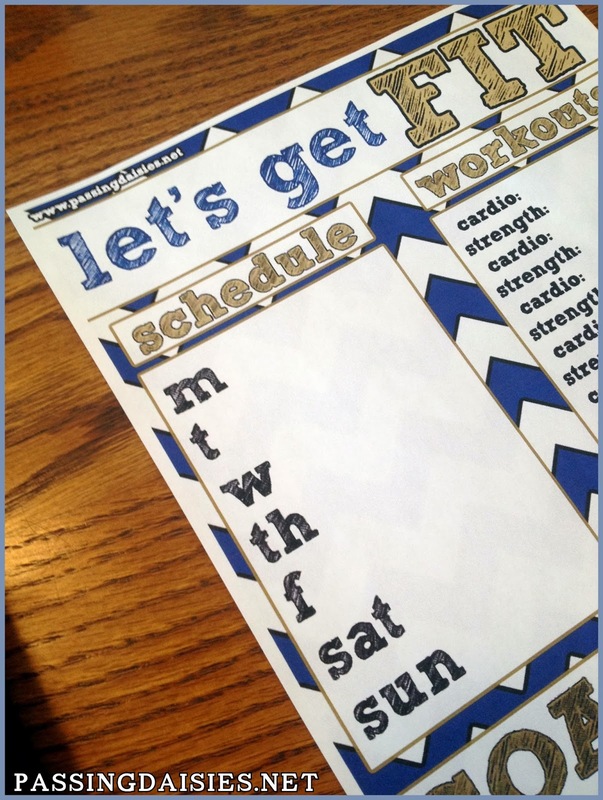 I was inspired to make this when I couldn't find a printable that was exactly what I was looking for. 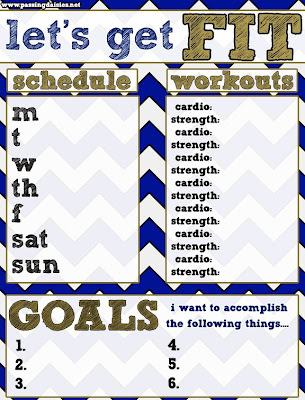 I didn't want to print out multiple sheets so that I could write down both my goals & my exercise for the week. I just wanted one page for everything. So, I made one. It's blue and gold, nice and shiny for the new year! If you like it, please share the love by pinning the image below (just mouse over the image and click the "pin it" button). To use it, just write what time and date you plan on working out next to the day of the week. For example, "M" might have "Dec. 16 @ 3pm" written next to it. Then, the strength and cardio lines across from "M" might read "Ran 5 miles" next to "cardio" and "Arms, abs, thighs" next to "strength." 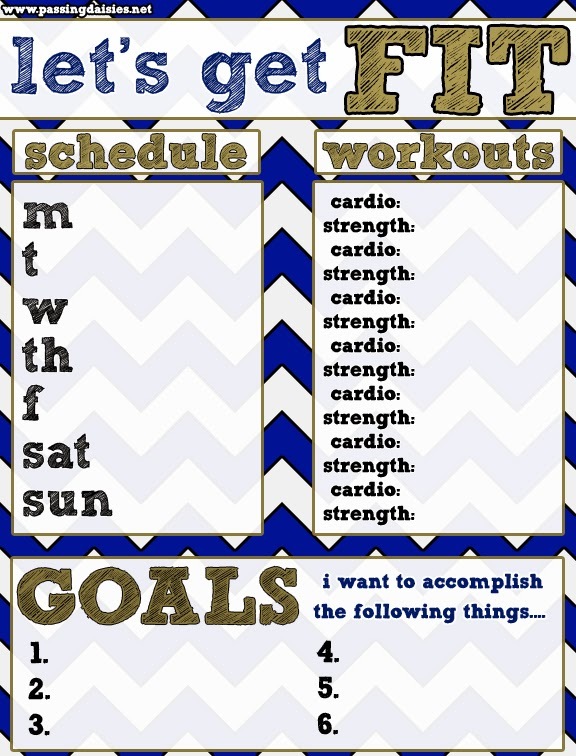 Then you can write goals, like "Run a mile in five minutes" at the bottom! 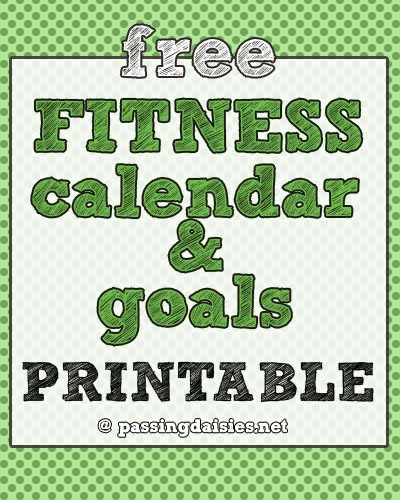 I ma really looking for the best Fitness Schedule for my Diet.Thank yo so much for sharing this good schedule here.The fitness goals are really great and where can I find out more goals.